Deckover Trailer For Sale | T.P. Trailers, Inc. Need a deckover trailer to carry a heavy load? 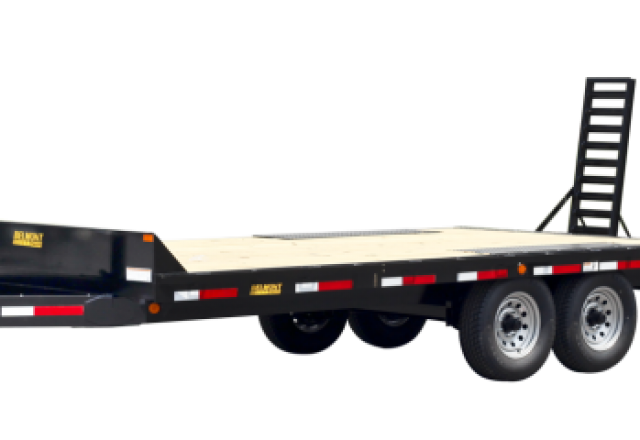 We have a selection of deckover trailers for sale and our regular duty models can haul up to 18,400 lbs. 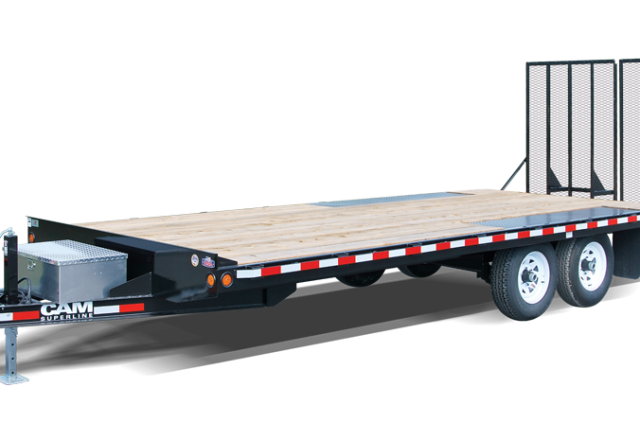 We carry trailers from the finest American manufacturers and they are all made with beavertails, electric brakes, pressure treated wood decking, tie downs and ramps. Stop by today and browse our selection of deckover trailers. If you are in the market for a new deckover trailer, check out the options we have available. Our trailers are manufactured with an A-frame toolbox, LED lights, hemlock or pressure treated wood decking, stake pockets, solar charged breakaway and rubrails. Upgrade to more features such as winch mounts, 6’ adjustable ramps or 20’ deck length. CAM Superline has a wide selection of quality deckover trailers and all at amazing prices. Are you looking for a new deckover trailer for your business? If so, Belmont has a wide selection that makes it easier than ever to find that perfect trailer. Slipper leaf springs, electric brakes, LED lighting, 5’ ladder ramps, and pressure treated wood decking create a well-built trailer that can handle pulling your equipment from site to site. No matter your wants or needs, you can find a deckover trailer here at Belmont! Premier trailers are undeniably well made and they will stand behind you after your purchase. 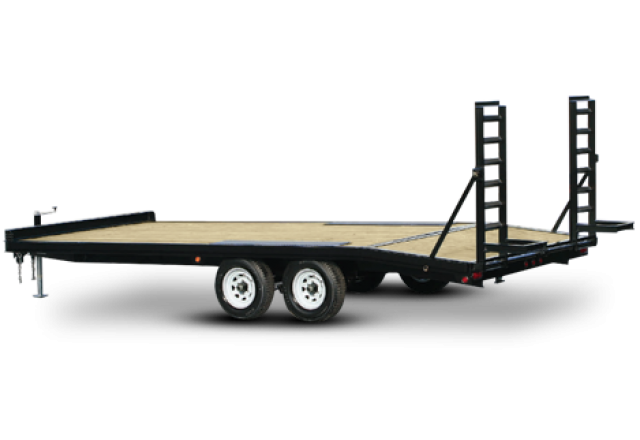 Their deckover trailers are made to work and come standard with stake pocket tie downs, 5’ fold down ladder ramps, pressure treated wood decks, electric brakes and 4’ beavertail. Call about options such as hydraulic surge brakes, diamond plate floor, 6’ ladder ramps or spare tire and mount! Let Premier be your next trailer! 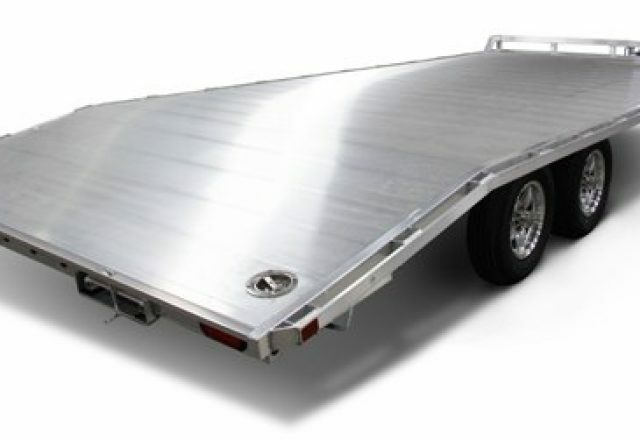 Aluma trailers are known for their well manufactured aluminum trailers and bring quality to all services. Discover their aluminum deckover trailers that feature electric brakes, aluminum wheels, recessed tie rings, front and side retaining rails, 6’ ramps or bi-fold tailgate and an extruded aluminum floor. Rely on Aluma to get the job done. I purchased my second Bri-Mar trailer. Buying the second one was uncomplicated, especially made so by Lori and her patient courteous attention to my needs and the many options available-not to mention the many details of a modern trailer. Service is equally exceptional. I would not buy a trailer at any other dealer. Price was the best I could find.